Jordan (jtmaier) and I spent a solid Saturday skiing good south facing corn near Mt. Angeles, and decided conditions were right to try something a little more adventurous in the Olympics. Originally we had committed to a long day push to the brothers for Sunday, but last minute we found some discouraging beta that caused us to change course. After some late evening debating, we decided to give the Marmot Pass environs a shot. 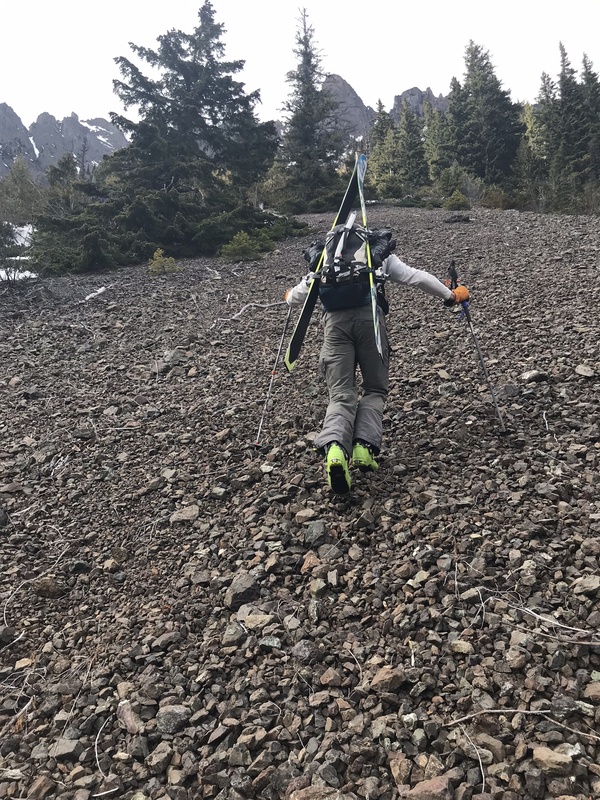 After 4 miles/2500 vft of ski carrying, we popped out to tree line and saw the line we were hoping to find. About a half mile later, we crossed under the line and saw that it would drop us off right at the trail. Perfect. We started skinning at that point, and continued to Marmot Pass. 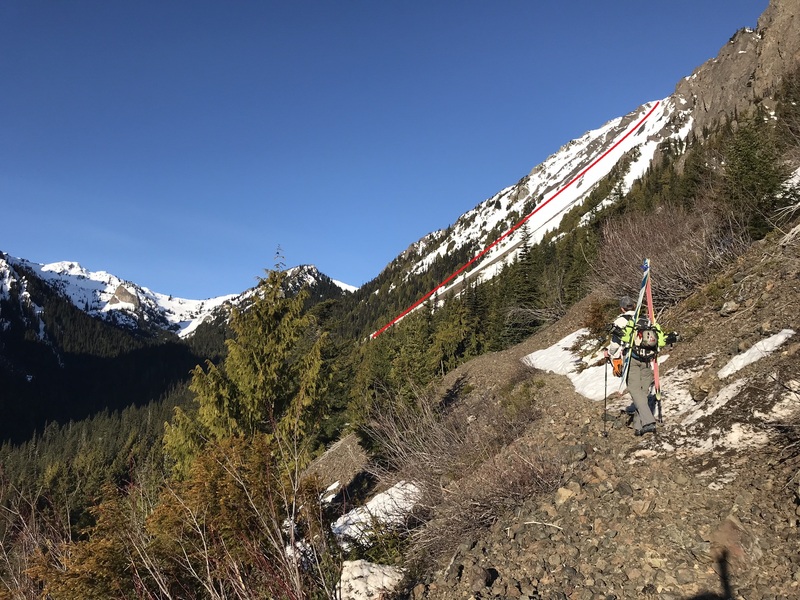 Then we headed up the ridge towards Buckhorn, we were able to skin about 500 vft towards the top, and switched to booting as soon as the ridge dried up. The Olympics were showing off in all their spring glory. 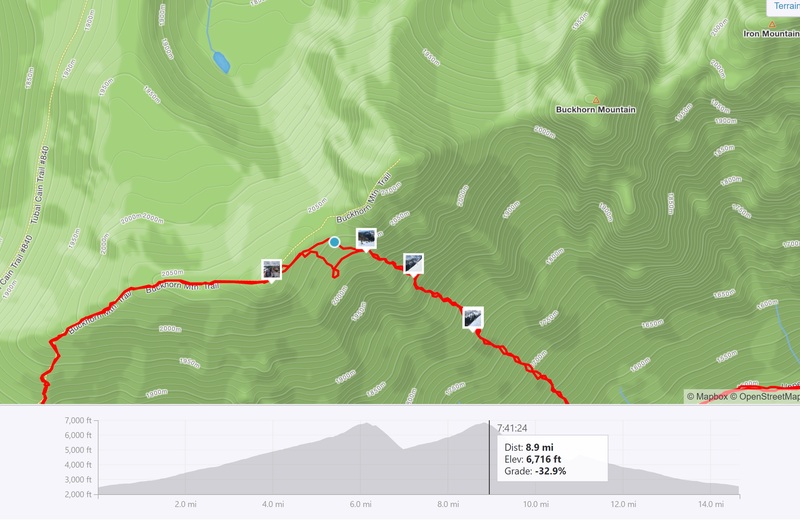 We hit the first summit knob (which is really two knobs west from the true summit of Buckhorn) and enjoyed a summit beer and snacks. From there we navigated to underneath the next closest summit knob (one west of the true Buckhorn summit), and dropped into our line. The line was perfect - 1900 vft of steep, SE facing corn. The entrance was in the low 40s and the rest of the line sustained in the high 30s. On the way out, we spied an avy chute that dropped below the trail to the river valley bottom. We suspected we could ski it out and follow the river to eventually meet up with the trail, but be warned, this route is not advisable. The snow becomes too thin, and the forest, too thick. The result is that we had to boot straight up terrible Olympic scree for 400 vft. In the end it was a fantastic gamble that really paid off. 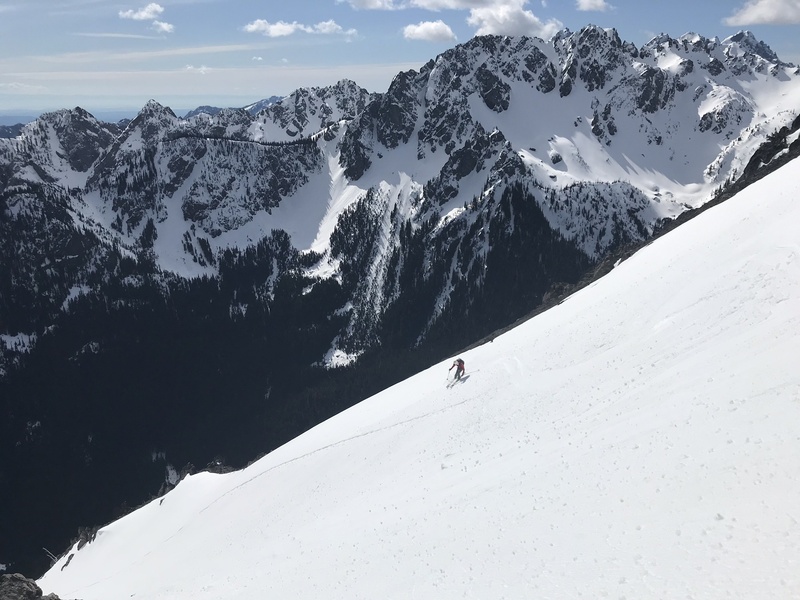 As you can see, many of the skiable south facing lines in the Olympics won't be in for long this year. 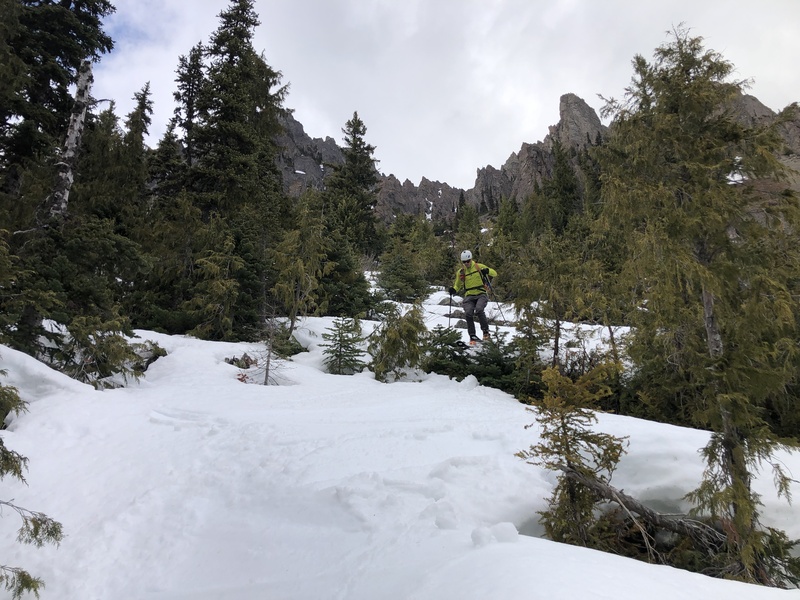 We found most of the north facing snowpack to be very transitional, typically varying between crust and mank, meanwhile the south facing lines are melting out fast. 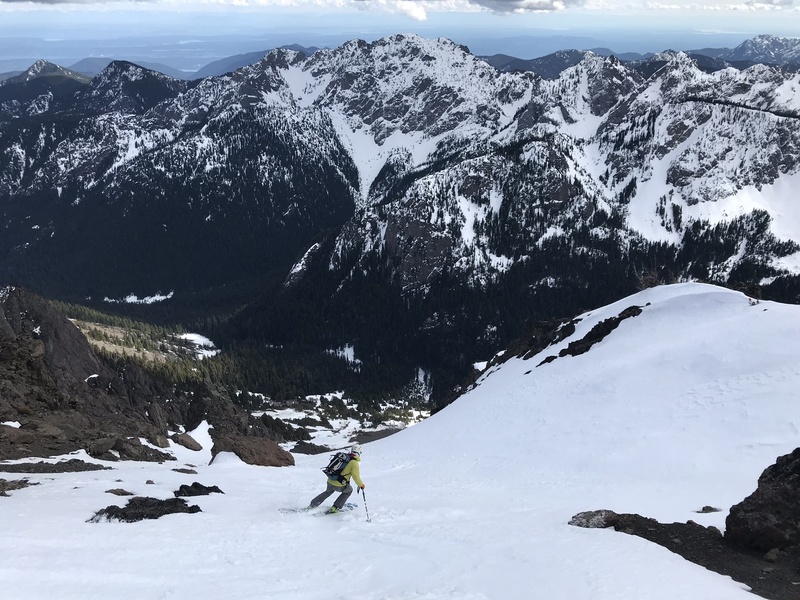 I've hiked Marmot Pass/Buckhorn area many times and always fantasized about skiing in this area, and it was a real treat to nail it during a lovely spring weather window. Stats for the day: 14.6 mile, 7000 vft, 10 hrs & 40 minutes. The road to the trailhead is now snow free. Thanks for posting -looks very nice. Need to get over there sometime soon. cheers. Nice one. 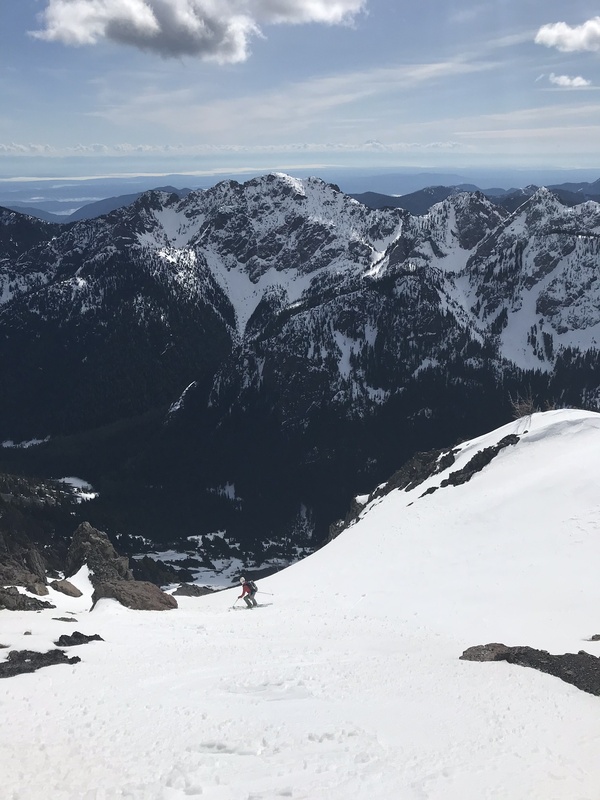 That line is listed as an ascent route for Iron Mountain in the Olympics climbing guide, but without snow it's all scree. 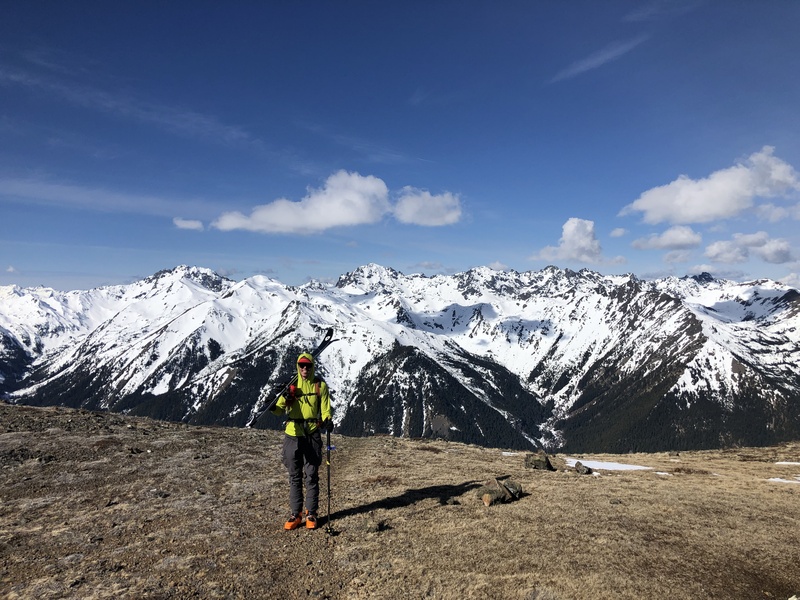 Did you summit either Buckhorn or Iron? Since we didn't get up high enough, we never had a view of Townsend. I bet it would be great skiing though, if it still holds enough snow. From what we saw out there, SSE slopes were still holding snow but due South and SSW slopes had mostly melted out. A few degrees of angle towards solar input definitely makes a big difference this time of year. Snowboy1811 - let us know how it goes!